As technological devices of all kinds become increasingly compact and portable, manufacturers require small, lightweight components that will fit inside device operating systems while performing with the same efficiency as their traditional counterparts. 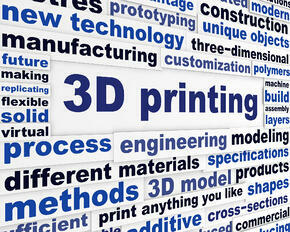 Though 3D printing has been around since the 1980s, the process has only just begun to enter mainstream society. A 3D printer works by depositing material, such as PLA thermoplastics, in layers until it has built up a physical object based on a digital file. In the past, these printers have been used to create jewelry, prototypes, industrial parts and more. As an increasing number of manufacturers, hobbyists and companies experiment with the potentials of this process, they’ve also developed new methods to improve the quality of the end product. One of those methods is to use a cooling fan to improve bridging and overhang performance. A cooling fan is crucial for good overhang performance on a PLA 3D printed product. It can be programmed to operate at different speeds during the printing process, which has several desirable consequences. Running a fan constantly during printing is detrimental to the final product. It can cause stringing, a defect in which “small threads of plastic are trailed into undesirable areas.” Stringing occurs when the machine is unable to remove the force that pushes the thermoplastic filament out of the nozzle quickly enough. Using a fan at different speeds also makes the quality of a 3D print more consistent and less dependent on the temperature of the environment at the time.